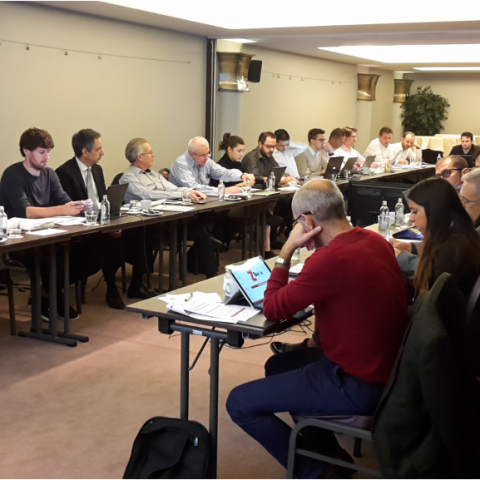 The Z-BRE4K kickoff meeting held on October 5th-6th 2017 in Brussels set the official start of the project. The aim of the meeting was to outline the main goals and the expected results of the project, to introduce all Z-BRE4K partners together with their role and responsibility for each work-package. A technical workshop to distribute tasks and define prospective activities in the project was also covered during the Kickoff meeting. Z-BRE4K will introduce a novel predictive maintenance platform capable of preventing unexpected-breakdowns and increasing operating life span of production systems. ZBre4k will support European manufacturing industries facing the ever-rising complexity of modern production requirements by eight strategies encompassing the whole manufacturing line.